Quick and Easy Air dry clay stamped banner – Great for Kids! It’s coming up, the dreaded winter break, the one the kids love, and the Mom’s kinda dread when the kids get bored. Originally when I thought about doing this rubber stamped air dry clay project for a quick and easy kids craft project. 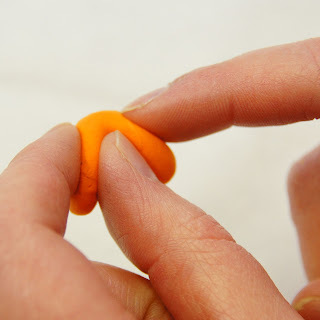 You know, something quick and fun, not to messy, but that would keep the kids busy. . In reality though, this is a great project for nearly any age if you want to make something but your short on time, don’t want to take a lot of time, have an attention spand of about a second or simply just want to create something cute. I use Cloud Clay, a very durable air dry clay that gives you a lot of time to work with, yet is very durable when it dries. If you find that it is too sticky, just leave it out for about 1o minutes. I also used Memento inks by Tsukineko. I love them! They’re juicy and beautiful and the colors are just to die for. Press in the cookie cutters to cut out the shapes. 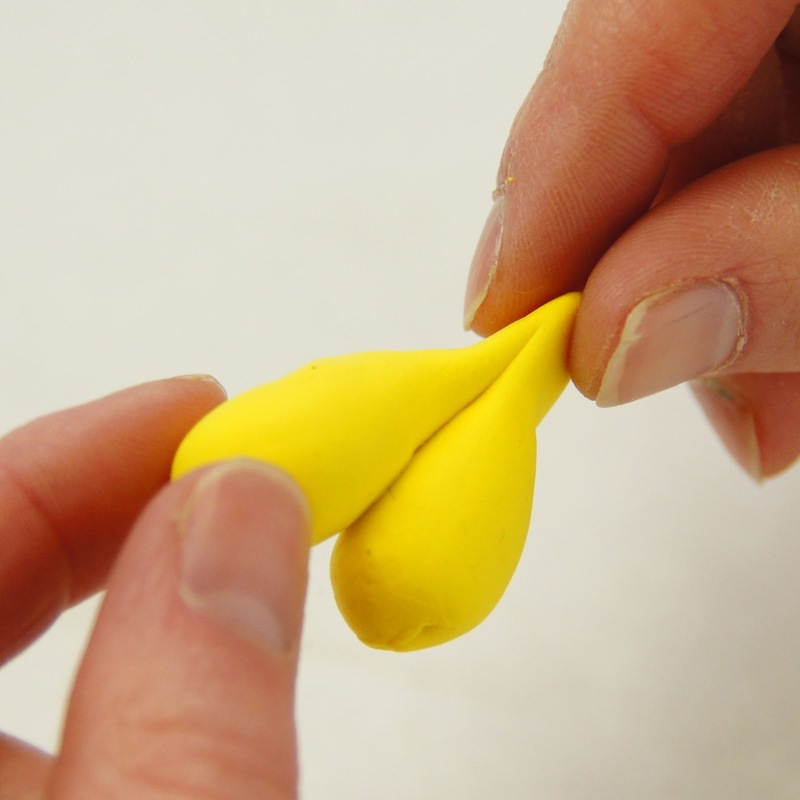 Remove the excess clay before lifting the cookie cutter. 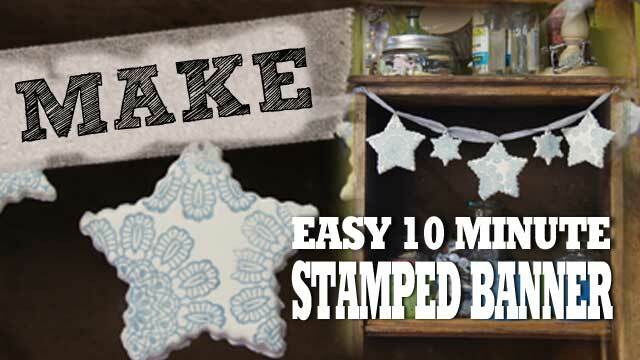 Apply ink to stamps and stamp on designs. Use a toothpick to round out a hole. Attach a jump ring and thread onto ribbon and hang. You can change the shape, change the stamps, Add words, paint the shapes – there’s just so much you can do with this project to make it your own? What would you do? Ideas? SHARE please! This year, springtime happens to be one of my favorites, especially since the arrival of my grandbaby Carlee Jane. Oh, I can’t wait till she’s old enough to play with me in the studio! Springtime means new beginnings, the flowers blooming, trees budding and new babies. This week happens to be spring break from school, which makes it the perfect opportunity to spend some fun time making crafts together. This is an easy kids craft project that uses air dry modeling clay and basic tools. Just follow the simple step by step instructions. 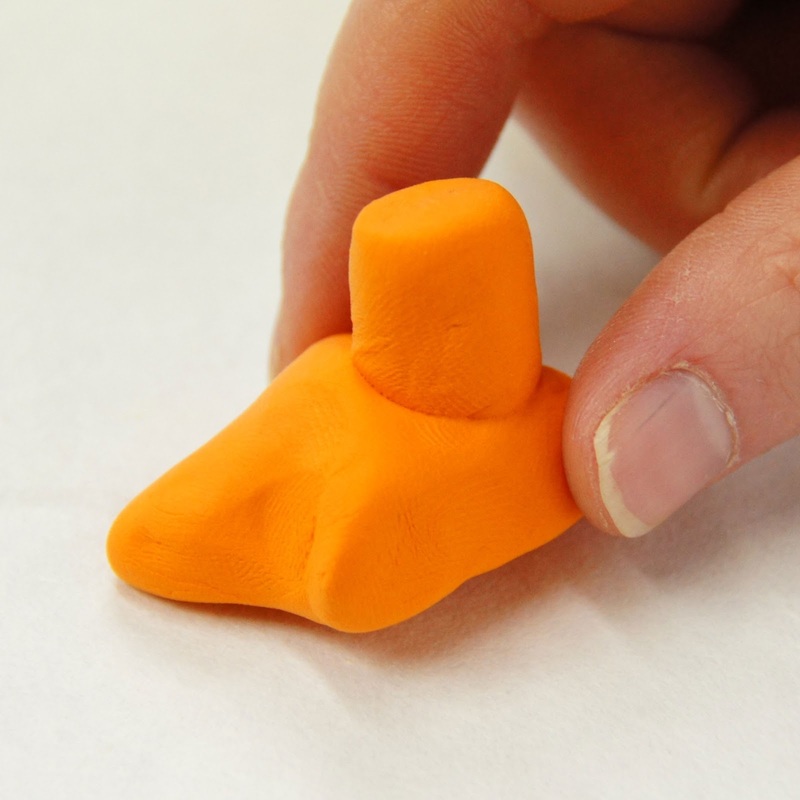 Teaches basic shapes and proportion. 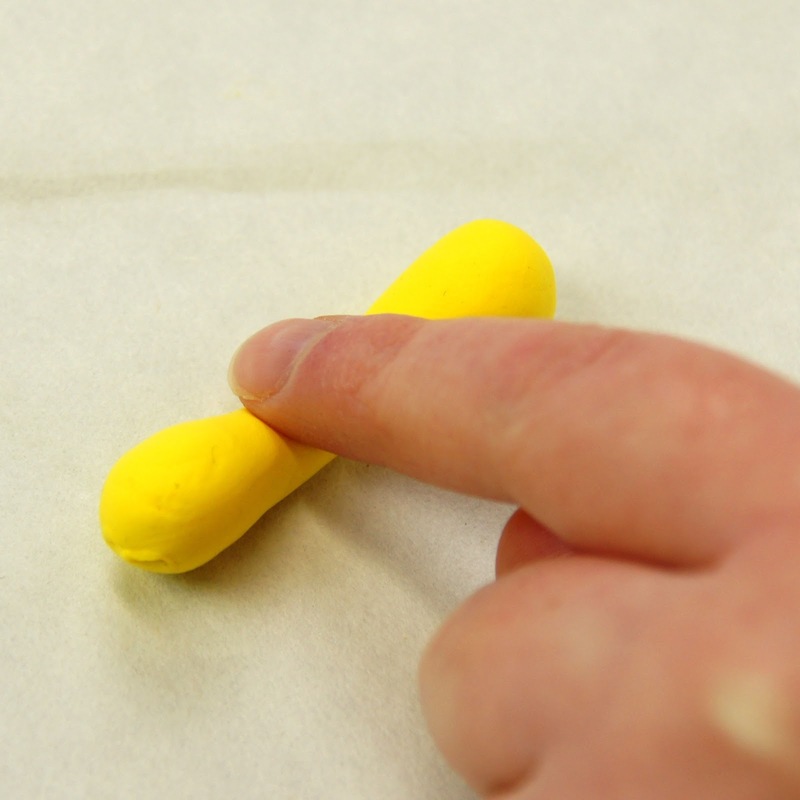 Since it’s an air-dry clay, keep it under a moist towel while working with it. To store,wrap in plastic wrap and place into a zip-lock bag and remove the air before sealing tightly. Keep in a cool place away from heat. 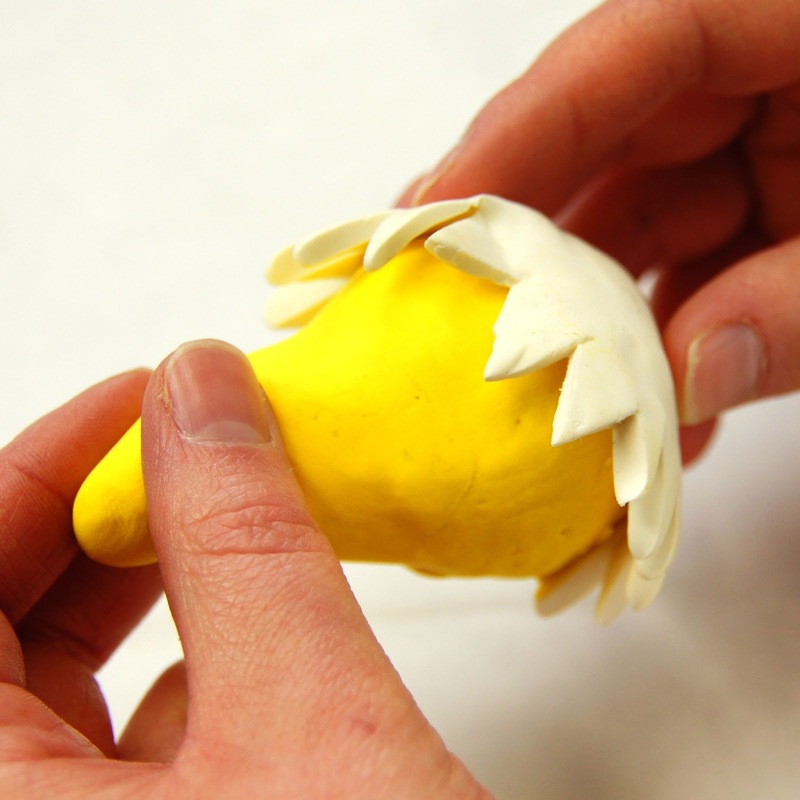 Cloud clay will bind to itself while wet. You can bond a “dry” piece to a wet piece by moistening the joints with a daub of water. You can also join two dry pieces together in the same manner. If clay becomes a little dry when working with it, add a drop or two of water and work in, it will come back to life. You have a several hour working window to complete your project so no need to rush! 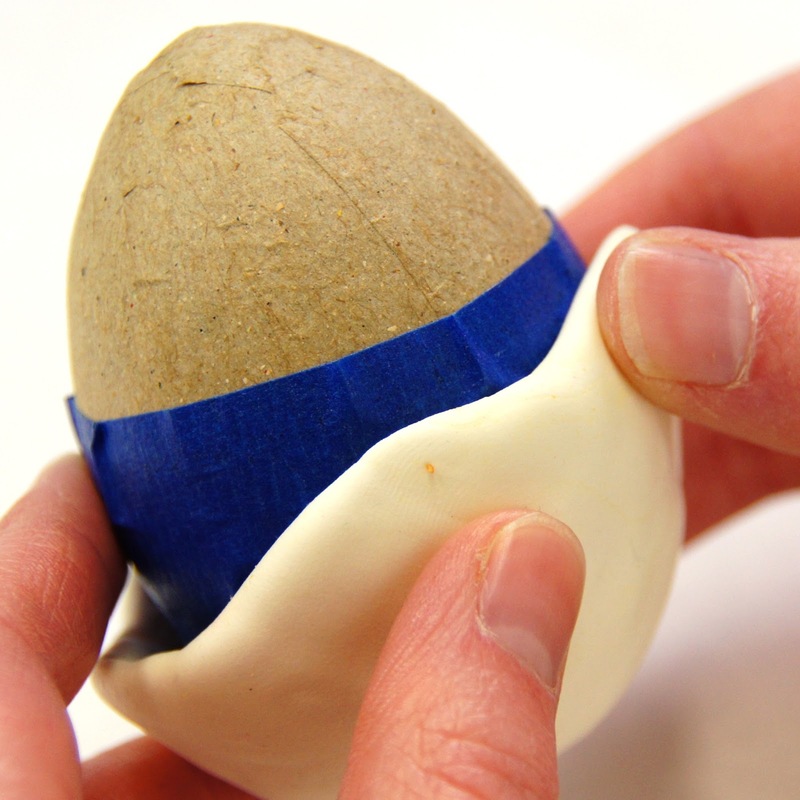 Place the egg base onto the bottom of the body. 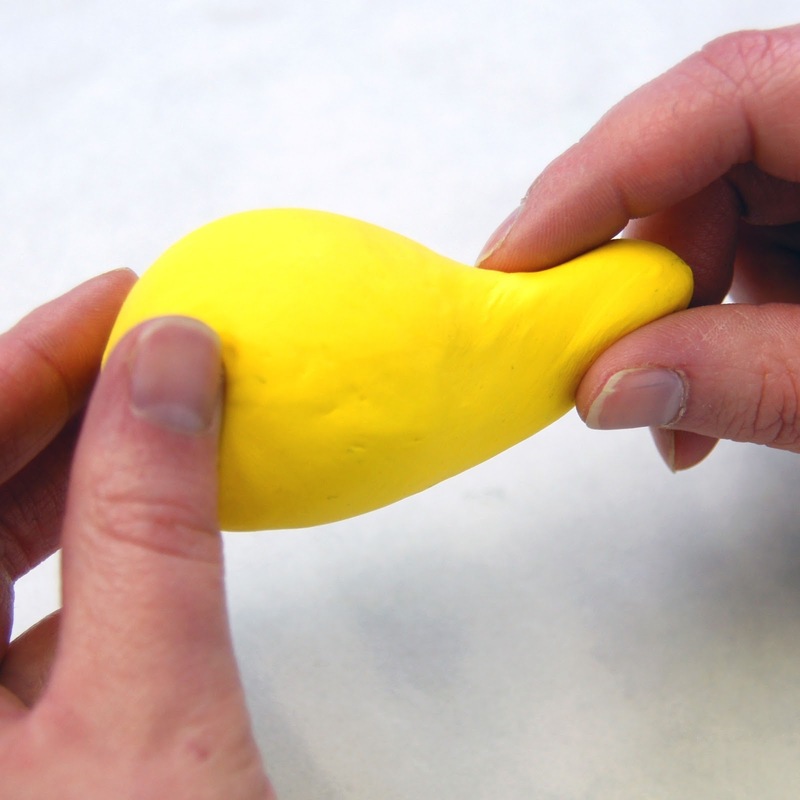 Wing: Roll a 1″ yellow ball into a log. Roll the log back and forth in the center to create a little dip. Fold the log in half at the dip and press wings to body. 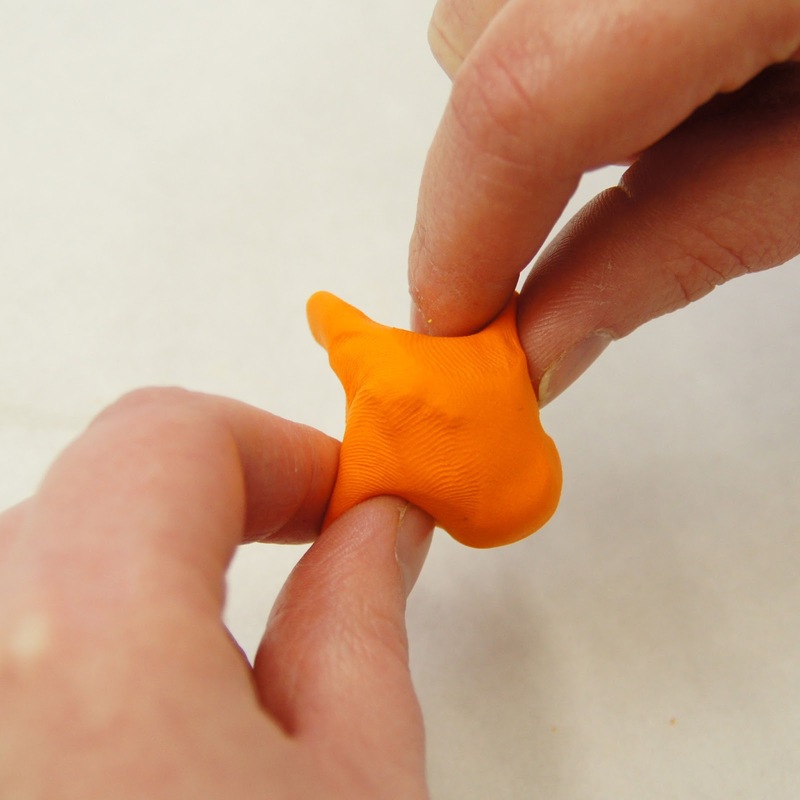 Feet: Shape a 1″ orange ball into a teardrop shape. Pinch the sides together to form the web of the feet. Press the beak onto the front of face. 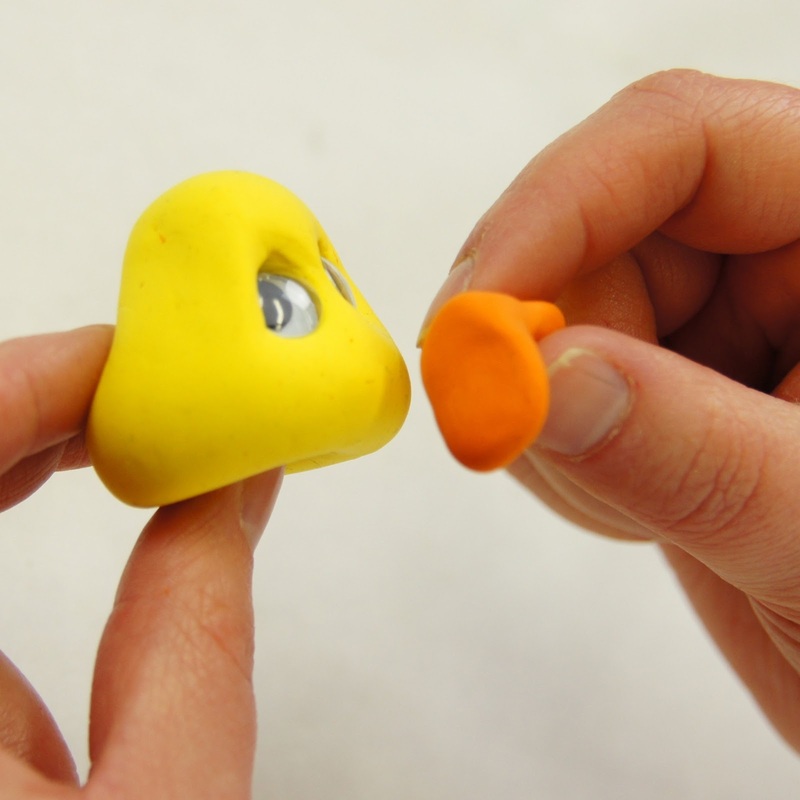 You can vary the look of your chick by the size of the beak. 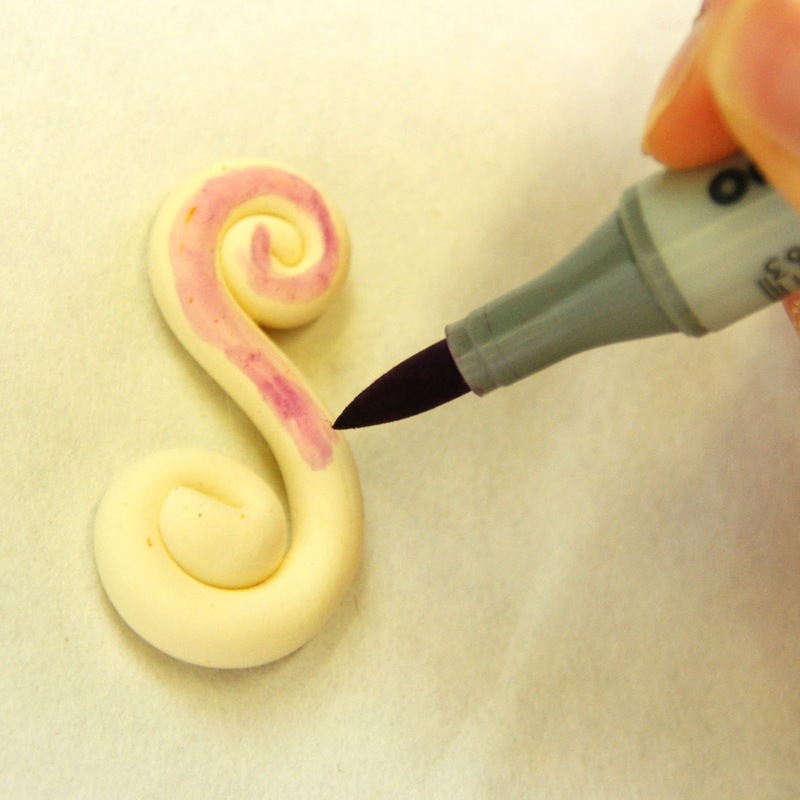 Shape letters from white logs of clay and color them with marker. You can add any patterns you like to your letters. Make sure you sign your name on the bottom and date it. It will become a keepsake that will last a long long time! 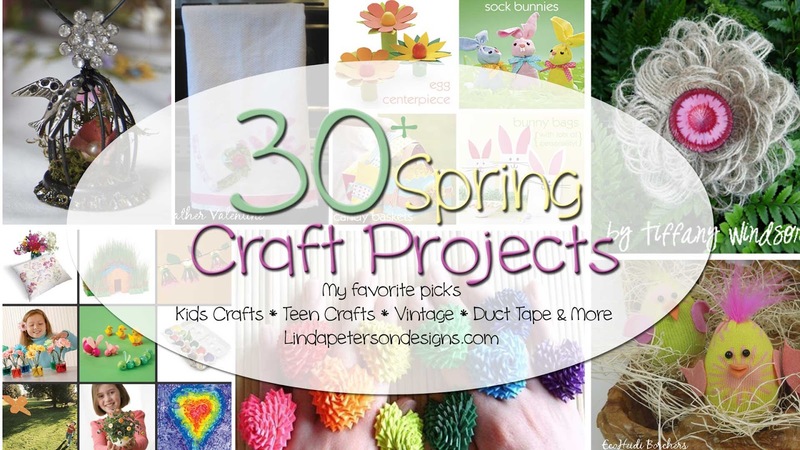 I’ve assembled over 30 more projects for you to enjoy this spring! From bird cages, birdhouses, flowers, bunnies and more I’m sure you’ll find something you love. Spring is here and it’s time to Craft! 30+ Project ideas for you to enjoy! It’s almost here – just a few days away we’ll be welcoming in Spring! In two weeks my kids will be on Spring Break. I know they’ll want something to do to keep their busy minds active and out of trouble. Gather your craft supplies and spend some quality time with your kids – even if it’s only for 30 minutes. I’ve gathered together some of my favorite craft project tutorials and videos. They feature everything from upcycling bottle caps into bird cages, dressing up your tea towels, upcycling socks to make fun little birds and of course on of my new passions – DUCT TAPE! There’s so much to see! Oh and how about the cute little centerpieces? or Make Cupcakes and add little handmade cupcake toppers? 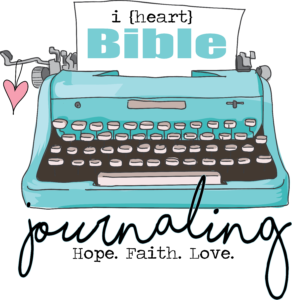 And Mom’s, I’ve even included some jewelry making links too, to give you some creative time and keep you sane. I know how it is! Some of the links feature artists from around the web. Please let them know you stopped by and share some nice thoughts with them by leaving them a comment if applicable. 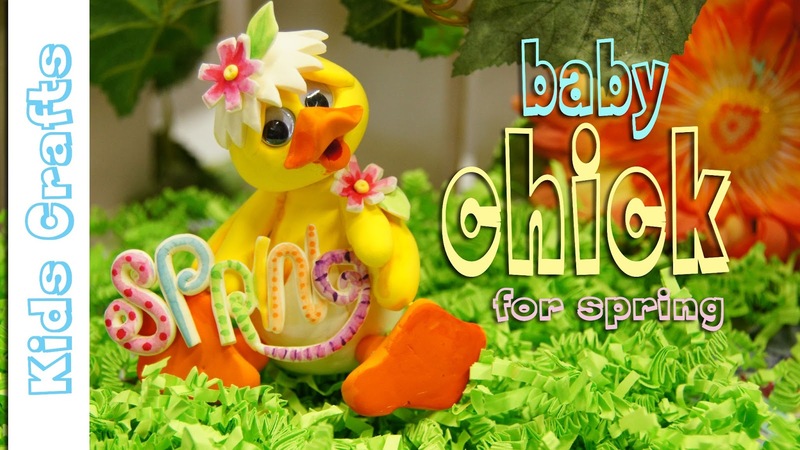 Have Fun, Happy Spring – CRAFT ON! 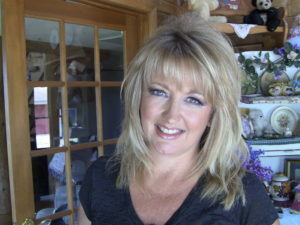 Way back when, not to long ago in the near distant past of we had wonderful Crafting TV programs like The Carol Duvall Show, which I was blessed to be a part of! I owe it to Carol and many other’s who looked beyond my green-ness as an artist and on-camera person and gave me a big boost in this industry. So that sets the stage for this funny – behind the scenes duct tape kind of story. After taping our craft segments that day a group of girls got together for dinner. “M” was running a little behind in getting prepared for the next day’s shoot. She was making duct tape wallets. I had never heard of such a thing, but said…HEY – I’LL HELP! Well…”M” and I together with “K” all went back to “M”‘s room to make duct tape wallets and help her out. At that time we had SILVER and BLACK that was it -no patterns….black and silver – the – duct – tape – end….. but we digress…. I guess our little crafting party was quite a hit with the behind the scenes staff of the show and it’s been long talked about amongst us ever since. Yes, those were good times! And it’s crafting that brought us all together! So that was then and this is now. Duct Tape Crafts have become huge trend in the crafting world. We now have books, patterns, colors, even licensed designs to make just about anything imaginable. 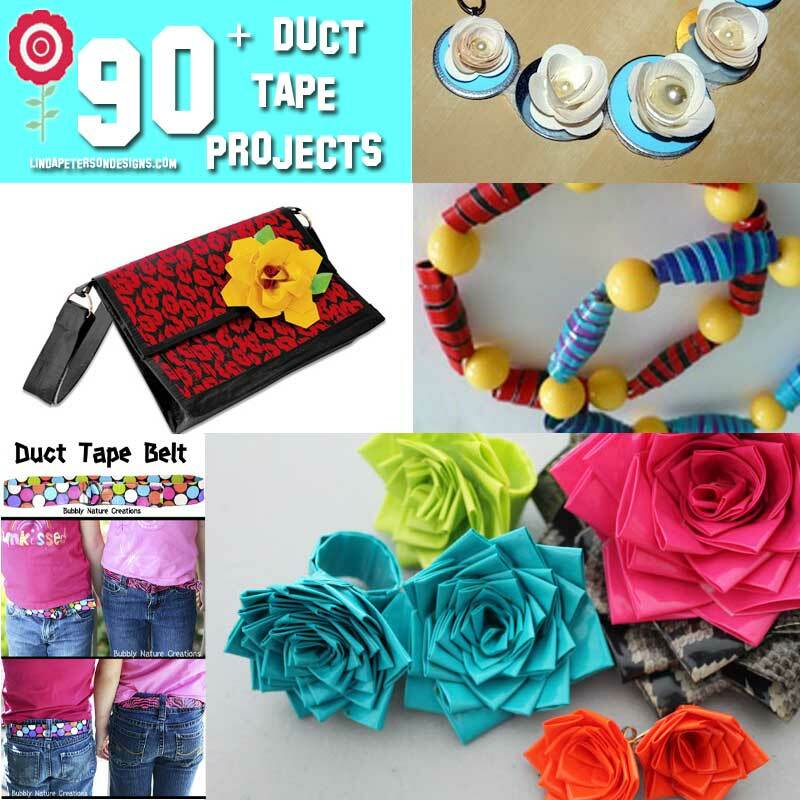 So I’ve put together this round up of some of my favorite duct tape project ideas for you to craft. This is a great kids craft project too so don’t forget about your little ones having fun too! 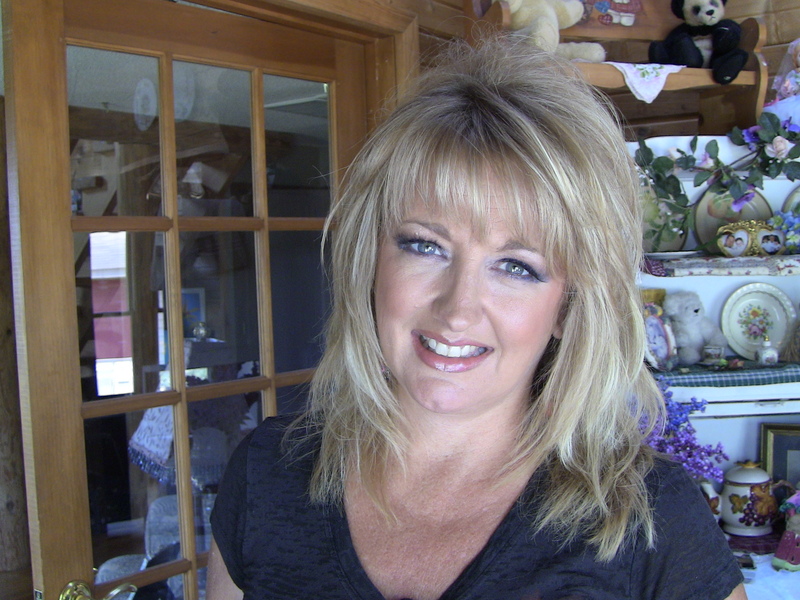 Enjoy my video on making a pair of rock star earrings. Tween and young teen age girls go nuts for this craft idea. (P.S – these wound up in Julia’s jewelry box the minute she saw them) Then see the links below for some my favorite tape projects along with instructions from the web.